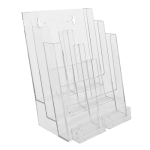 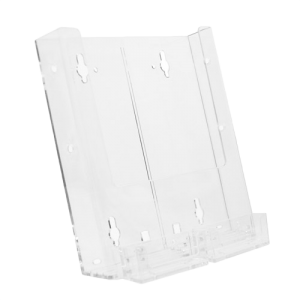 The Wall Mount Double Pocket Tri-fold Brochure Holder with 2 Business Card Holders is perfectly designed for literature up to 4 ½” wide and regular size business cards or gift cards. 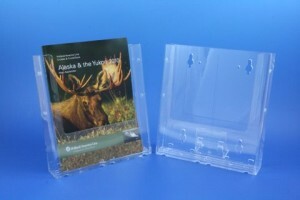 Ideal to present two brochures up to 4 1/2'' wide with two card holders. 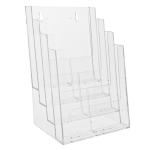 This creates a professional display for any wall mount environment. Service stations, display for tourism, travel, customer care, lobbies and show rooms. 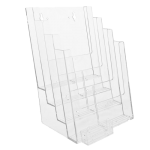 Automotive customer waiting rooms, medical and dental offices.